China is a the third largest country in the world, roughly the same size as the USA and with the world’s largest population. It’s a country with an ancient history and Chinese civilisation has endured through millenniums of revolutions, golden ages and anarchies. Due to its size the country is very diverse and rich in its number of minorities. 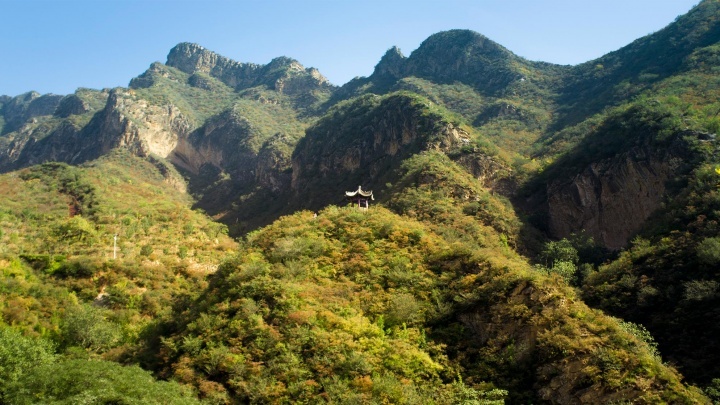 The depth and variety of Chinese civilisation, with its abundant heritage, has long fascinated western travellers such as Marco Polo and continues to excite travellers today. The country has a lot to offer, some of which I’m sharing with you here. Hong Kong is not a country, nor even a city, but a special administrative region, like Macau, which today is part of China. As a result of China’s defeat in the Opium War, Guangzhou, Shanghai and Hong Kong, along with others, fell under British rule. 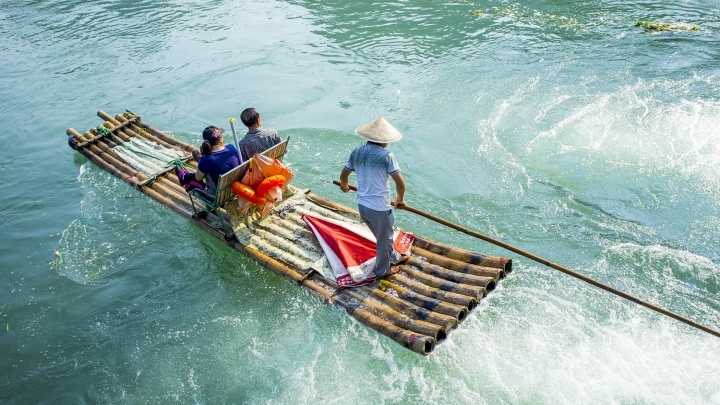 It is a unique destination that has drawn people and cultural influences from places as diverse as Vietnam, the US and the Middle East and proudly proclaims itself to be Asia’s World City. Hong Kong was a British colony for nearly 160 years and as a result, most infrastructure has inherited the design and standards of Britain, with the Chinese tending to live amongst immigrants from other countries. Travel with me to Hong Kong. 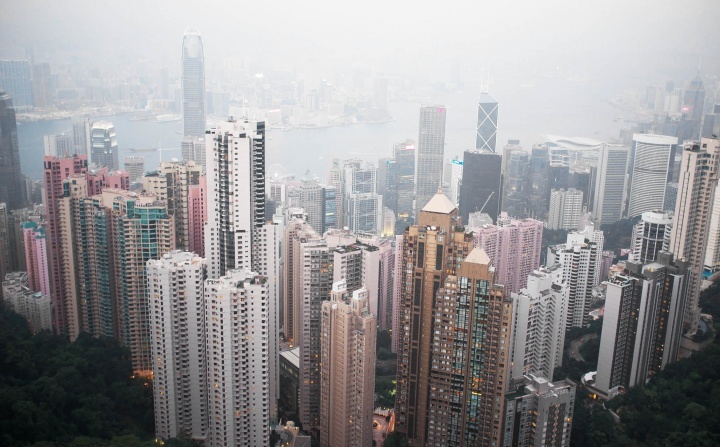 The views in Hong Kong can sometimes be underwhelming, the best views are seen from the tallest buildings. The taller the building the greater the head spin. Access to some roofs in Hong Kong is open. Zhangjiajie was previously called Dayong and was at that time considered to be the place with the most advanced ceramics in China. But despite its success in the technological and cultural sectors, thanks to its mountainous terrain, undiscovered land, underdeveloped river transport and agriculture, it is not well developed compared to other cities. 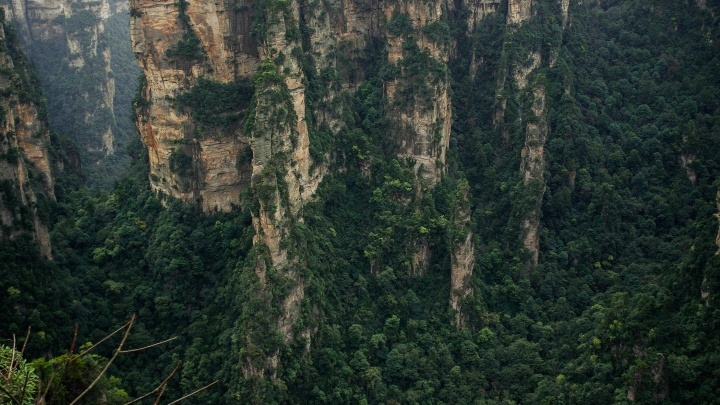 The rock mountains of Zhangjiajie look as if they have been taken from old manuscripts of ancient Chinese art. The abundance of rivers and low level cloud streams often cause the rock peaks to become shrouded in a heavy mist. 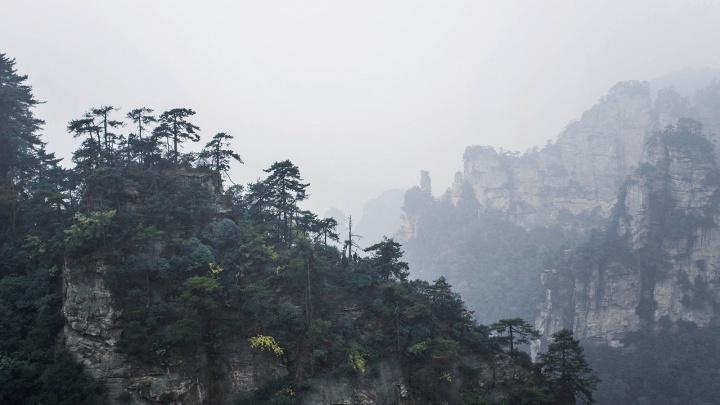 Travel with me to Zhangjiajie. Travel with me to Kunming. 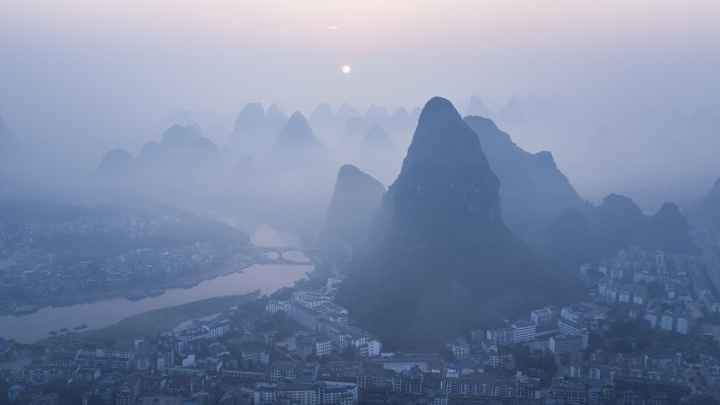 Travel with me to Yangshuo. One of the hotel roofs in Macau. For hundreds of years parts of China were constantly under the imperial rule of other countries, nations like France, Spain, Britain, Portugal. Like the British during the Opium War, the Portuguese also came here to enslave the Chinese. Kidnapping Chinese children and selling them to Malaysia, where they were then roasted and eaten. Eventually China gave Portugal the right to settle in Macau, in exchange for them clearing the territory from pirates, which was done under strict Chinese control. From that time Macau was a European colony, one of the first and last in Asia. Travel with me to Macau. Macau has the world's highest bungee jump at Macau Tower, stands at 233m high. Today China administers Macau under the formula of “one country, two systems”, i.e Macau is officially part of China, but retains its own system of government. 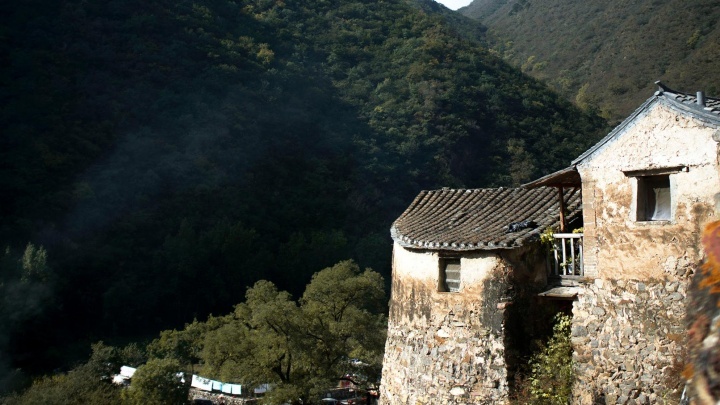 Cuandixia is a quite unusual ancient mountain village two hours drive from Beijing. 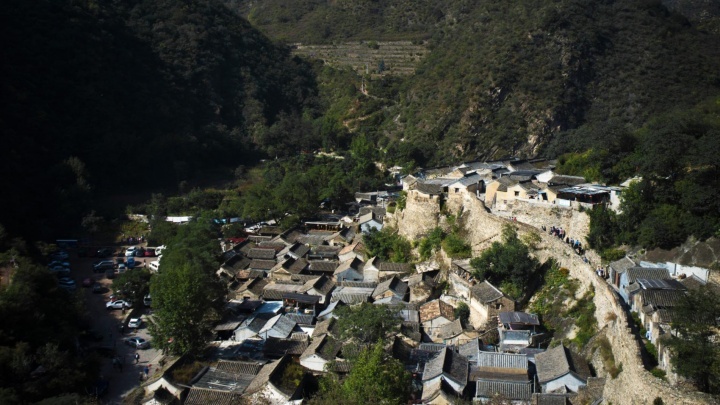 Despite the growing industrialisation of China, the village has succeeded in keeping its traditional folk culture as well as its original architecture. With only around 70 traditional courtyards it is renovated nicely and seems rather authentic. Remaining largely unchanged for centuries, the village is still surrounded by green pine trees, verdant cypresses and a mountain canyon. Travel with me to Cuandixia. 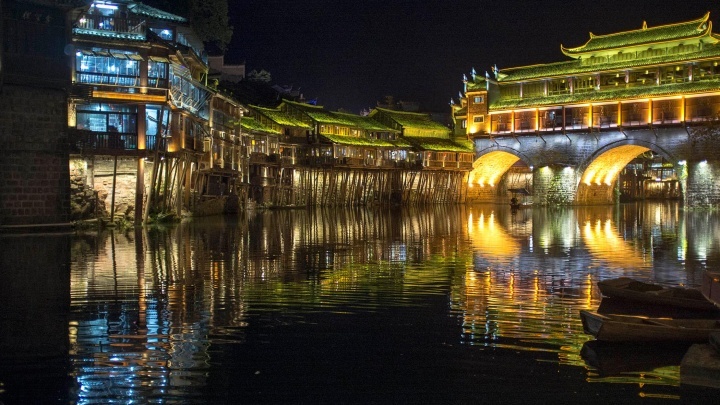 Thanks to its remote location Fenghuang was isolated from wars and revolutions, and as a result has remained well preserved. Its ancient shape has helped to sustain its unique ethnic languages, arts, folklore and, most importantly, its architecture. The city is named in honour of the mystical phoenix, believed to be comprised of the body of a duck, the tail of a peacock, the legs of a crane, the head of a golden pheasant, the mouth of a parrot and the wings of a swallow, and to live far away in the mountains of Eastern China. 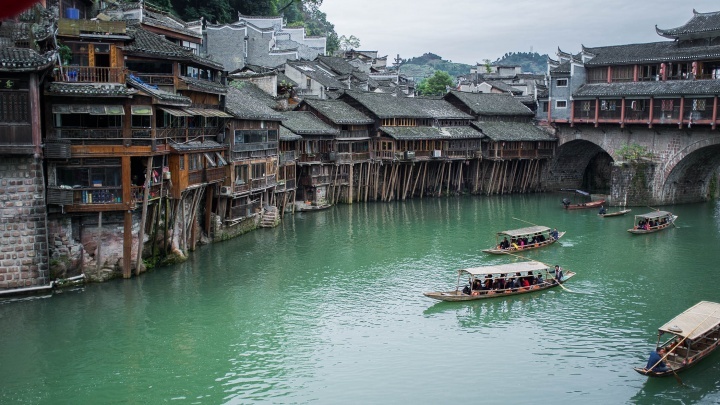 Travel with me to Fenghuang. 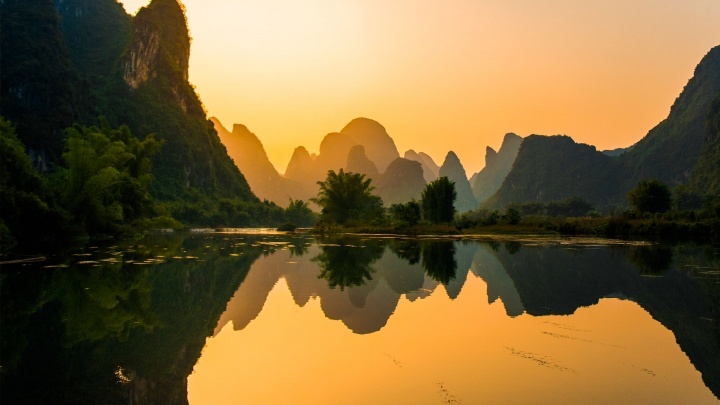 The tourism industry in China has exploded in recent decades, with the number of travellers growing year after year. 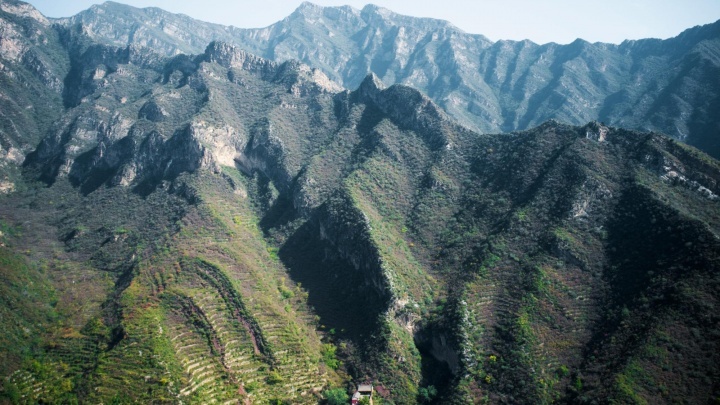 For the last few years China has spent more than anyone else on tourism. This boom has given rise to thousands of new jobs and increased economic prosperity for people with no education. 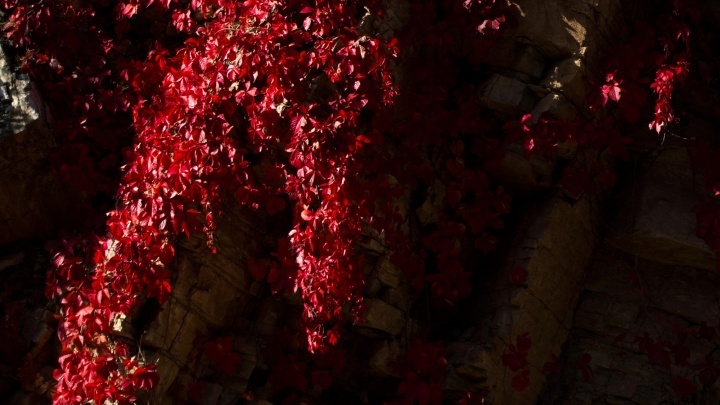 It has opened the doors to China’s wonderful sites. One of those is a Huangguoshu waterfall. 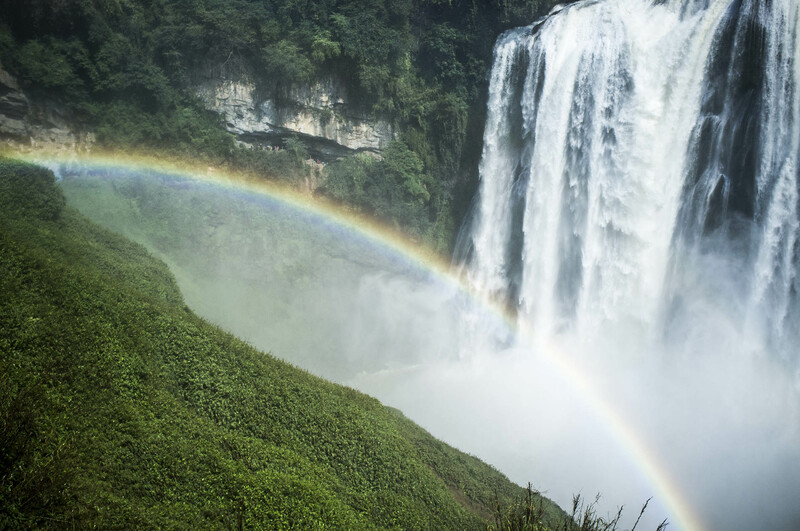 Travel with me to Huangguoshu Waterfalls. Heaven for the rich, hell for the poor. 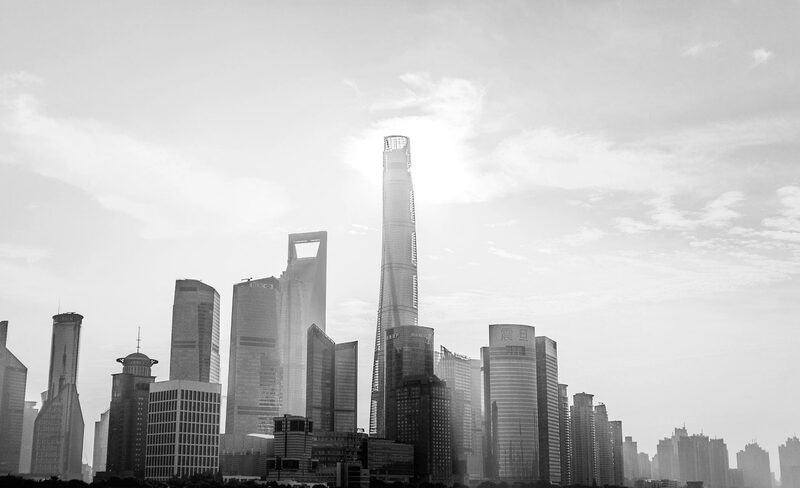 Travel with me to Shanghai. 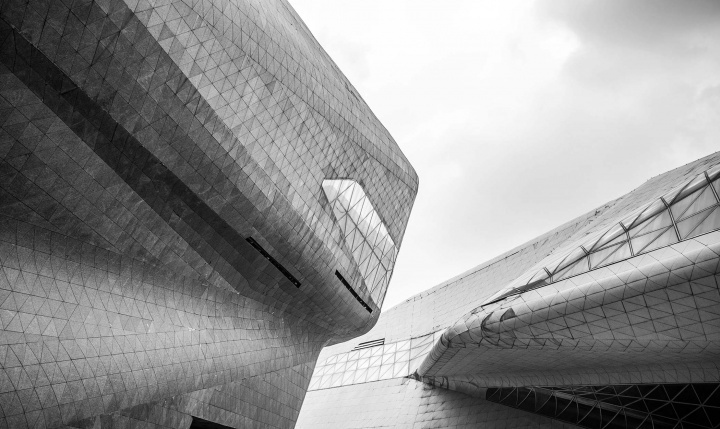 Home of "Made in China"
Designed by Zaha Hadid Guangzhou Opera House. Guangzhou is the third largest city in China, after Beijing and Shanghai. Since its founding it has acted as a springboard city for trade, cultural exchange and many revolutions and reforms. 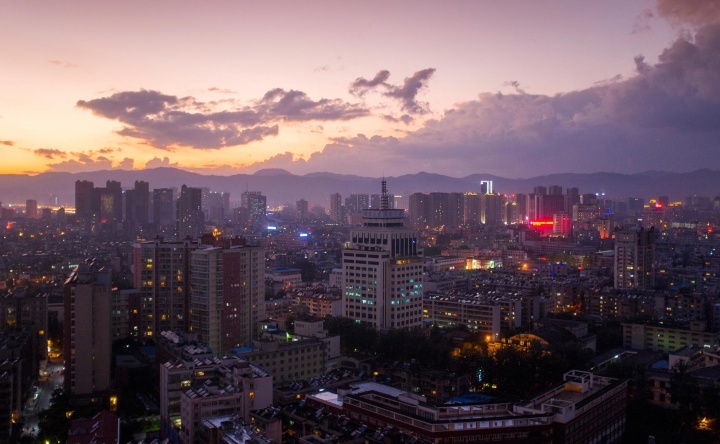 Guangzhou is well developed and when the city name is mentioned, Chinese culture often comes to mind. Being isolated from the more “typical” Chinese influence, has seen a greater contribution from the outside world to its unique lifestyle of liberal ideas, a distinctive cuisine and great wealth. Travel with me to Guangzhou. Gulangyu is a good example why China shouldn’t be generalised is. It is a very big and diverse country and should not be judged as a whole; the architecture, food, culture and people vary from region to region. Chinese history can be divided according to the different dynasty rules. When referring to a time in history, it’s easier to mention the name of the relevant dynasty. 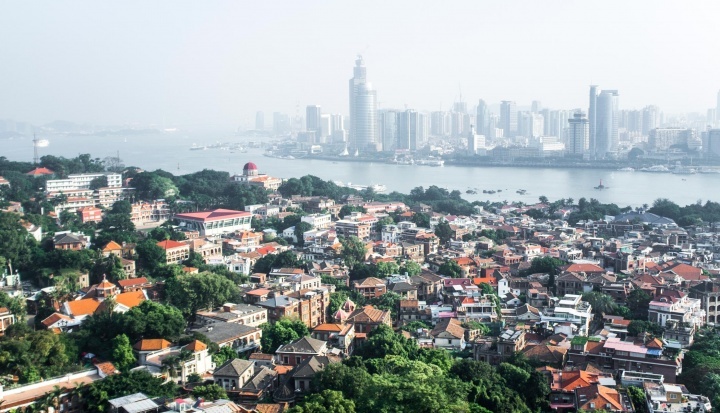 In the Qing Dynasty, after the loss in the Opium War, Gulangyu Island was opened for foreign settlement. Travel with me to Gulangyu. Getting to the top. Trees seem like small balls of fluff. 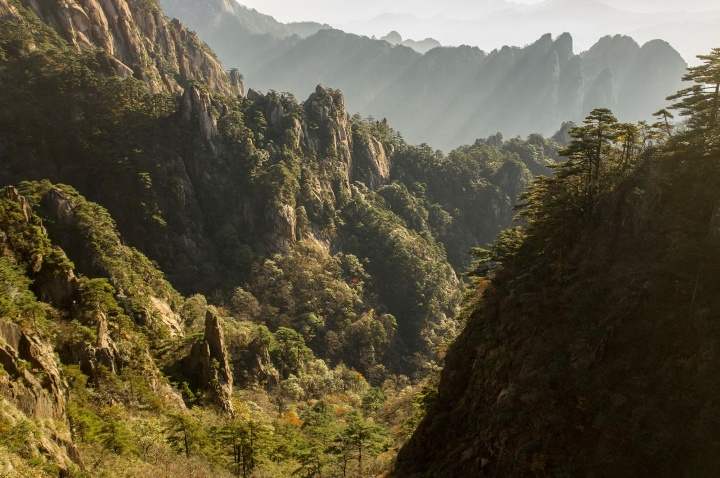 Travel with me to Huangshan.